Take a handful of pomegranate beads and make a smooth paste by grinding them in a grinding machine or blender. Add about 1 tablespoon of pure raw organic honey to this paste and mix very well. The mixture should be uniform and of medium consistency with a little stickiness. Apply it all over your face and neck and wait for half an hour. Once it dries, rinse with cold water. Use this face mask 2-3 times every week to get a soft, blemish-free and glowing skin. 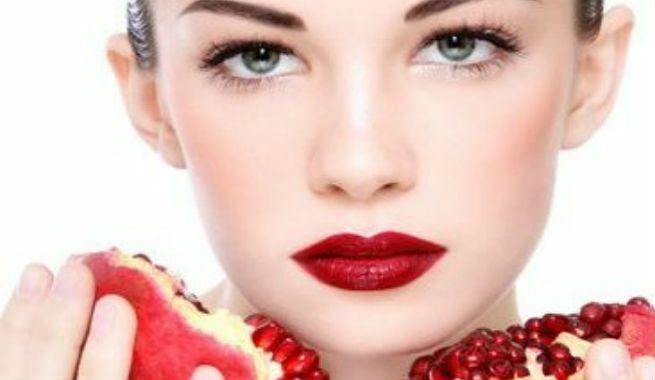 A simple face mask made of pomegranate and yogurt can help you soften as well as brighten your skin to a great extent. Prepare a smooth paste out of a handful of pomegranate seeds. Add 2 to 3 tablespoons of Greek yogurt or plain yogurt to it and blend very well. Spread the mask over your face and neck evenly. Allow it to dry for 20 to 25 minutes. Rinse with lukewarm water and old water respectively. Being rich in vitamin C, lemon can give the antioxidant qualities of pomegranate a vital boost, thereby making our look skin fresh, bright and tan-free. All you need to do is make a pomegranate paste by grinding a handful of seeds and squeezing 6-7 drops of juice of a fresh lemon into it. Mix both of the ingredients well and apply to your face and neck thoroughly. Wash off with cold water after 30 minutes or so. The antioxidant properties of pomegranate can be combined with those of green tea in a simple face mask, which can rejuvenate our skin in a natural way. Grind a handful of pomegranate beads in a blender. Take 1 tablespoon of freshly brewed green tea and add it to the pomegranate paste. Also, put plain yogurt and pure raw honey 1 tablespoon of each in the paste and combine everything well. Apply the mask all over your face and neck and wash off after half an hour with fresh cold water. Both pomegranate and cocoa powder are great for preventing symptoms of aging. So, you can blend these two into a face mask and get youthful skin easily. Prepare a smooth paste out of pomegranate seeds and mix 1 tablespoon of cocoa powder with it. Apply the mask to your face and allow it to dry. After 20-25 minutes, wash off with cold water. When it comes to getting a radiant skin by sloughing the dead cells off, this mask can be very much helpful. Turn a handful of pomegranate seeds into smooth paste of medium consistency. Add 2 tablespoons of oatmeal powder to it. Also, put buttermilk and pure raw honey 2 tablespoons each in the paste and combine all the ingredients properly. Apply overall your face and neck. Wash off with tepid water after 15 minutes. People with combination skin can swear by this highly effective pomegranate face mask. For this, you need to make a paste out of a handful of pomegranate seeds. Add 1 tablespoon of rice flour to it and pour a few drops of almond oil too. Combine everything together and apply carefully to your face and neck. Wait for 15 to 20 minutes. Finally, rinse with tepid water. 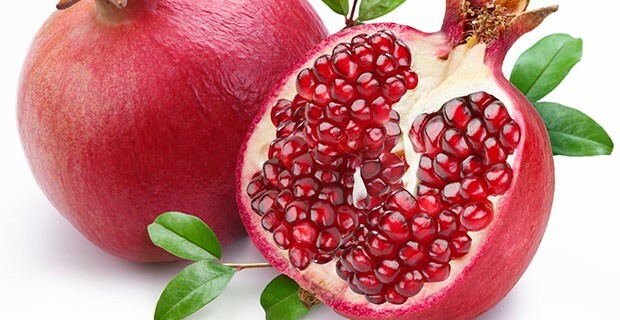 Not only the seeds, but the peel of pomegranate can also be used for making effective face masks. If you are suffering from excessive skin dryness, opt for this super moisturizing mask. You just need to dry up the pomegranate peel pieces completely and grate or grind them into fine powder. Then, add 1 tablespoon of besan and 2 tablespoons of milk cream to it and combine everything to make a smooth paste of creamy consistency. Spread it over your facial skin and wash off after 15-20 minutes. Here is another pomegranate peel facial mask, which makes dull skin look bright and naturally healthy. Start with taking 3 tablespoons of pomegranate peel powder. Add 1 tablespoon of freshly squeezed lemon juice and 2 teaspoons of rose water to it. Blend well to come up with a paste of medium consistency. Apply thoroughly and then, rinse with lukewarm water after 15-20 minutes. Last but not the least; here is an awesome pomegranate face mask for normal skin that can beautify your face as a whole. Take pomegranate peel powder and fuller’s earth in equal quantities and pour enough rose water into it to form a uniform paste of medium consistency. Spread it over your face in a thick layer and let it dry for next 20 minutes. Then, wash off with lukewarm water. 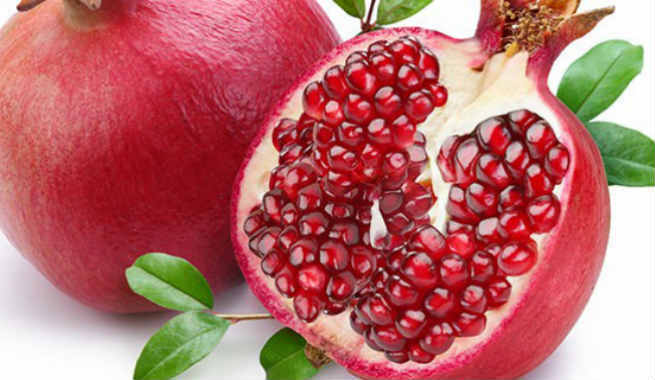 So, are you ready to feed pomegranate to your skin?